Term 5 Scratch - Can You Compute? 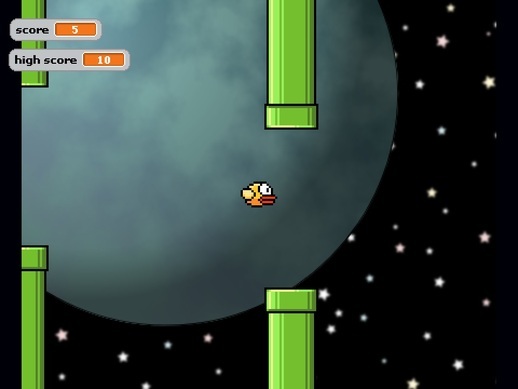 ﻿Lesson 1:﻿ How do you code Flappy Bird? Starter: What is the best computer game? Discuss. In this lesson you will code a number of games so that you learn the basics of how games work. You should try them all as they cover new skills. Do not worry to much about how good the game looks as this lesson is about learning the skills. List all the software features and apps that your mobile phone has. In this lesson you will use Scratch to create a new phone OS. O.S. means operating system and is responsible for managing the phone's software and hardware to ensure that they work together. It is a bit like a car mechanic. You can design and customise the OS as you wish for your 'rotten apple' OS or 'anti -droid' phone. How many of these game characters do you recognise? This lesson you have around 45 minutes to create a short animation or story using scratch. You are free to choose the story and the characters but ​don't spend hours editing them. The story is the important part. It is up to you to decide if you want to make it interactive. Spend the last 10 minutes or so peer assessing each others work. Lesson 5: Are the birds angry? 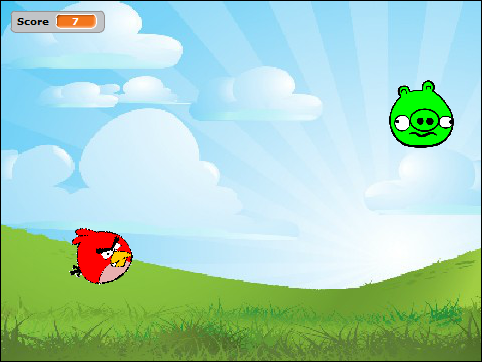 Angry Birds is one of the top selling Apps and in 2014 had been downloaded, 2'000'000'000 times, yes two billion! The film that was released in April 2016 made $150 million in the first month. However, the game mechanics are incredible simple and you are going to code your own version. Perhaps you will make a cool million too? (Just remember who taught you!). Download and save the instructions and media below. Once you have the basic game working create your own level, add new birds, change the scoring systems. Add more pigs and adapt the points for each individual pig that is hit. This lesson is fun, you will create a simple Table Football game based on Code Clubs resources.